Cyclists outfit their bikes with lights for nighttime riding so that they can see and be seen when it’s dark out. Thus, it might seem unnecessary to also use lights during the daytime; however, more and more riders are making the decision to use lights no matter when they ride – even when pedaling during daylight hours. Have you noticed that most new automobiles and motorcycles now come with automatic daytime running lights? Being seen is not just relevant to bikes; every vehicle with lights is more visible on the road even during the day. According to Trek, daytime running lights reduce car accidents by 25% and motorcycle accidents by 13%. Because it’s safer, many countries have passed laws requiring daytime lights for their automobiles, and more cyclists have been buying into the same practice by riding with lights during daylight hours. A Twitter survey by road.cc in October of 2017 found that 52% of road cyclists now opt to use lights during daytime rides. With eight out of 10 cycling accidents occuring during the day, there is plenty of potential for daytime light use to prevent accidents and increase cyclists’ safety. 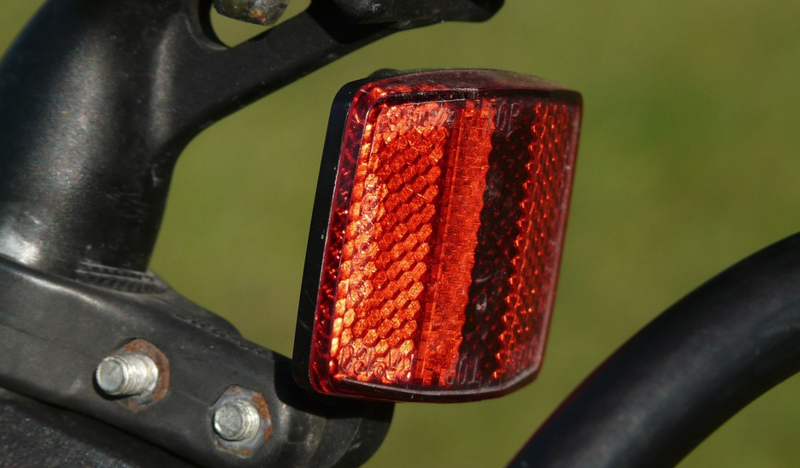 Older bike lights have tended to use a steady, flashing pattern, but many newer bike lights have one or more pulsing modes that cycle light brightness level with time. Some pulse regularly; some pulse irregularly. There is something about a light that catches our attention even when a rider who is using them is in relatively bright surroundings. Add some pulsing or flashing functionality, and those lights will draw our attention even more. The use of cycling lights during the day is all about trying to catch the eye of motorists, many of whom are even more distracted than ever not only by increasing traffic levels but also by complicated vehicle control interfaces and their phones. A majority of drivers are not consciously looking for cyclists, but a flashing or pulsing light may be just enough to get their attention in time for safer maneuvering around those illuminated cyclists. And just because it’s daytime doesn’t mean it’s always bright and sunny and clear. Where daytime lights excel is in conditions with varied or poor lighting. Think about riding through an urban area with constantly changing light conditions as you pass in and out of shadows between buildings and even other traffic. Or think about a rainy or foggy day, when visibility is substantially reduced. A well lit cyclist will stand out more in those relatively darker places. Research has proven that cyclists who use daytime running lights are safer. For example, a study involving 3,845 cyclists in Denmark in 2004-2005 showed a 19% lower incidence rate of accidents with personal injury to cyclists using permanent bicycle running lights relative to a control group not using such lights. It’s still standard protocol to use a white light on the front of your bike and a red light for the rear, and while you can simply keep your night riding lights on your bike and also use them during the daytime, many light manufacturers are now making specialized, more sophisticated lights for daytime use. After all, many lights used at night are not actually bright enough to be very visible during the day. Which is why many newer lights now have multiple modes so that you can simply switch between the best modes, respectively, for day and night time use. Other factors that apply to selecting lights for nighttime use still apply to lights for daytime use. Of course, there is cost, but it’s also important to consider each light’s mounting technology and make sure it will work for your particular bike. Is it easy to install and remove? Can you swap it quickly among your different bikes? Research how long each light will last in its different modes. Then depending on how you will use your light and what opportunities you will have (and when) for potential recharging, pick a light with either a rechargeable battery (such as via a USB cable) or a replaceable battery.